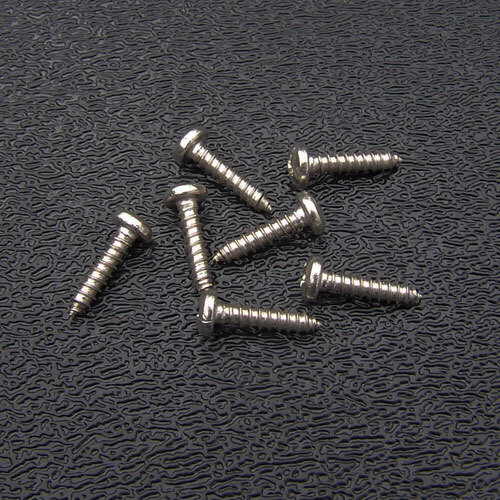 Stainless Steel Tuning Keys Mounting Screws - Phillips Pan Head - #2 x 3/8"
Stainless Steel Tuning Keys Mounting Screws. Typical vintage style Strat® tuning keys use 7 of these per guitar. Can also be used for truss rod covers and other small parts. Size: #2 x 3/8" in length.